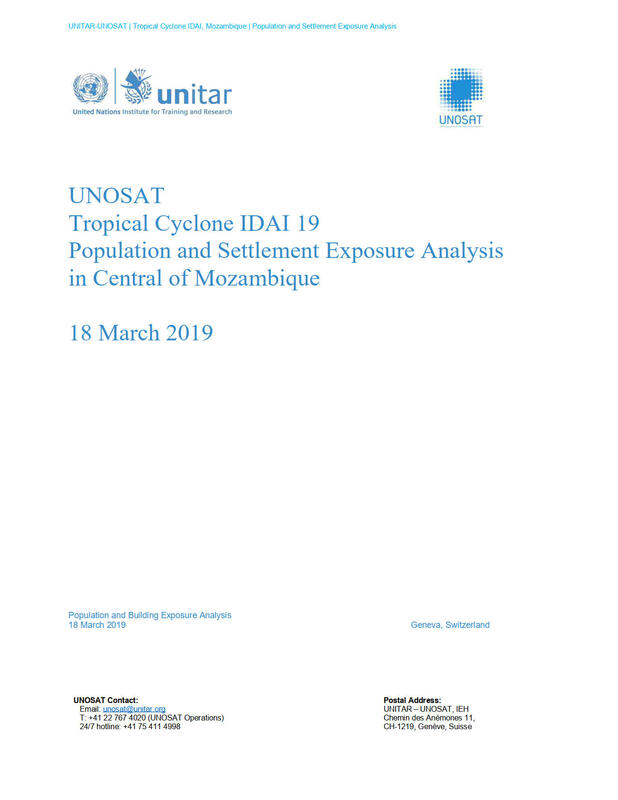 Mozambique population and settlements exposed to flood extracted from Sentinel-1 acquired on 14 March 2019. The population exposure has been calculated using a 100m resolution WorldPoP dataset and Settlement from International Organization for Migration (IOM). This is a preliminary analysis & has not yet been validated in the field.